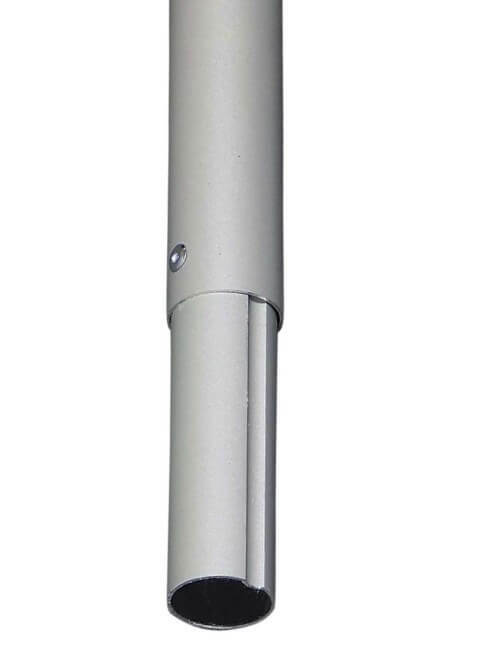 10 foot tall (120 inches) Break Apart silver upright with a 1.5 inch outside diameter. 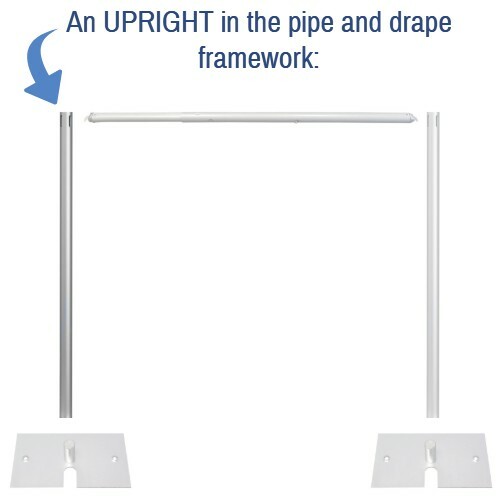 Perfect for those who cannot easily transport or store 10 foot tall fixed (one piece) uprights. Features a 6 foot tall bottom piece and a 4 foot 4 inch tall top piece. When the 4 inch extension on the top pieces is put inside of the bottom, it creates a 10 foot tall Upright! This Upright is not adjustable in height. It simply breaks down in to two smaller sections. 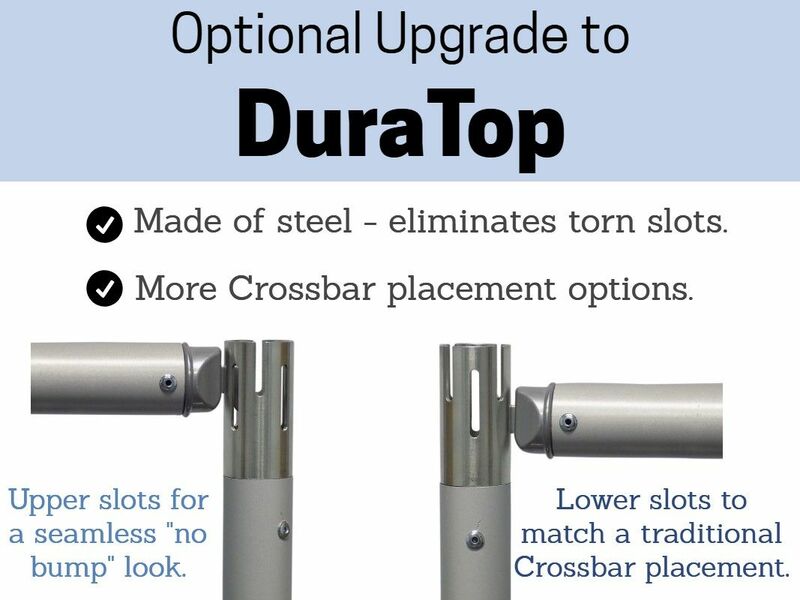 For adjustable heights, please see our selection of Adjustable / Telescoping Uprights. Four 90 degree slots at the top, at 8 feet tall, and at 3 feet tall allow for various configurations such as continuing a linear span, making right angle turns, creating "L" shapes, and creating shorter height side walls. This item is for Quantity 1 of the upright only. Base and other pipe sold separately. Very easy to setup (2 mins). Fast shipping (Ordered on a Friday, received the next Tuesday). We love Pipe and Drape online! This break apart upright is a great alternative to solid sections which can be difficult to store if space and transportation methods are limited. 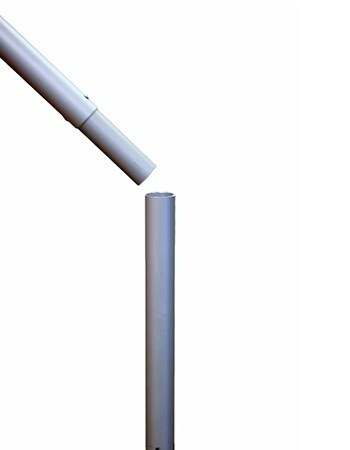 The 4" slip section could be slightly longer where each section is connected to add more rigidity to the pipe. This would help increase stability of the upright and reduce swaying. For this reason they are great for light to medium weight fabrics. Heavier should be limited to telescoping uprights. Overall worked well, and priced right!